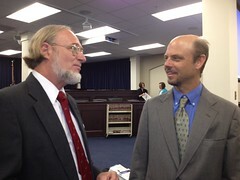 The Clean Energy Opportunity Act, introduced in the Kentucky General Assembly this year and supported by KySEA, would establish Feed In Tariffs, along with a Renewable and Efficiency Portfolio Standards. A Feed In Tarriff (FIT) establishes a fixed premium prices for the sale of renewable electricity by using standard long-term contracts. FITs can apply to / be available to anyone that connects an eligible generator to the electricity grid. When it comes to renewable energy policies, FITs are the most widely implemented, around the world. As of 2008, 45% of all global wind development and 75% of all world solar wind PV capacity developed under FITs policies. And, 48 nations have them in place. “Feed In” refers to: feeding electricity into the electricity grid. “Tariff” refers to: the price paid for electricity. Common characteristics of successful FITs are transparency, longevity, and certainty or TLC. Transparency refers to purchase agreements that use standard offer contracts with established fixed rates. Longevity requires long-term (often 10-40 years) power purchase contracts. Certainty refers to fixed process, long-term contracts, and access to the grid. It has also been noted that, in addition to T.L.C, it is important to include rates based on costs - of generating power - plus a reasonable return on investments. Anyone with an eligible renewable energy facility can participate. Some examples of individuals, as well as groups, that can become eligible to sell renewable energy through these policies include: farmers, homeowners, small and large businesses, non-profits, industry, public agencies, electric utilities, etc. First, the FIT payment level is based on technology. These prices are subject to change, and will certainly adjust over time. The costs of FIT payments are passed onto ratepayers through each utility companies’ general rates. FIT policies accelerate the development of renewable energy, and lowers the costs and risks for investors (through T.L.C). They improve, and better maintain, local economy and production by creating an in-state distributed generation, as well as local economic development in all regions of the state. In turn, this ensures that renewable energy will be developed in-state. Similarly, these policies also support in-state manufacturing of renewable energy equipment. Renewable Portfolio Standards (RPS) set renewable energy production targets that utilities in a state must meet. Implementing FIT policies alongside a RPS provides a powerful mechanism to achieve these goals. As mentioned earlier, FIT ensures local economic development and distributed generation. Complimentary to this, RPS policies ensure that utility companies are proactive in terms of investing in renewables. If these policies were to be implemented here, locally in Kentucky, economic benefits would certainly be distributed across all regions of the state. Successful FITs can be found in Germany, Italy, and Ontario. Germany’s implementation of this policy, specifically from the years 2000-2009, created approximately 300,000 jobs. They were also able to add 20,000MW of wind power, as well as 8,700MW of solar PV, during this period as a result of FITs implementation. Italy began implemented FITs in 2007. While Italy’s population is only 1/5 of the size of the U.S. population, they have been able to exceed our solar PV capacity by 1.5 times. Another result of Italy’s implementation of a FIT includes the installation of 2.4 times more solar PV since 2008. Finally, Ontario implemented their FIT policy in 2009 and have seen success. Data collected from November 2010 show that there is over 2,600MW of renewable energy under contract there, at this time. Their installed PV capacity increased from 2MW to 48MW in one year, also. It is projected that, by the year 2012, Ontario will have the largest solar PV market in North America. This information was adapted from a presentation that Andy McDonald, of member groups' Kentucky Solar Partnership and Appalachia Science in the Public Interest, did during KySEA's Clean Energy Summit in January.